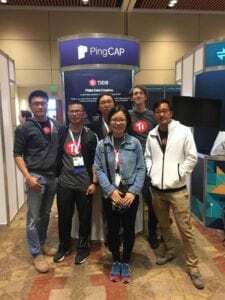 Sep 14, 2018 - PingCAP, a distributed database company that created cloud-native NewSQL database TiDB, has announced a $50 million Series C funding round led by FOSUN and Morningside Venture Capital. All previous investors – China Growth Capital, Yunqi Partners, Matrix Partners China, and others – have also participated in this Series C financing round. Sep 13, 2018 - Flexential Completes $32M Portland Data Center Expansion, Adds 115,000 Sq. Ft. - Hybrid IT data center solutions provider Flexential, formerly known as Peak 10 + ViaWest, has completed a $32 million expansion of its data center at 5737 NE Huffman Street outside of Portland, Oregon. This Portland data center houses the U.S. cable landing station for the Hawaiki submarine cable, which delivers "low-latency" connection between the continental U.S., Hawaii, Australia, New Zealand and American Samoa. The 115,000-square foot expansion brings this colocation data center to 240,000 square feet. Sep 13, 2018 - IDC: #Dell Achieves Number-1 Position in Worldwide Server Market - Vendor revenue in the worldwide server market during the second quarter of 2018 has increased 43.7% year over year to $22.5 billion, according to IDC's Worldwide Quarterly Server Tracker (cts.businesswire.com). Worldwide server shipments increased 20.5% year over year to 2.9 million units in 2Q18. Asia/Pacific (excluding Japan) was the fastest growing region, while Dell achieved the number one position in the worldwide server market for the first time. Sep 12, 2018 - #Baidu Unveils Privacy-Enhanced Solution For Security-Critical Services in Public Cloud Environments - Baidu (antivirus.baidu.com), the "Chinese Google" has launched MesaTEE, a ‘memory safe' Function as a Service (FaaS) computing framework – an innovation based on Intel SGX. This cloud security solution would enable security sensitive services like banking, autonomous driving and healthcare to more securely process their data on critical platforms, such as public cloud and blockchain. Sep 14, 2018 - Flexential North Tampa data center features - Take a video tour of the Flexential North Tampa data center. The 60,000-square-foot data center is built to withstand Category 5 hurricanes and features 2N UPS redundancy and N+1 energy-efficient cooling. Sep 15, 2018 - CDN Technology Provider Broadpeak and Video Systems Integrator Divitel Expand Partnership - "We are happy to embed Broadpeak (broadpeak.tv)'s technology as a service in our Operational Intelligence Services. This is not only a great business match but also a cultural match," said Hans Kornmann, CEO of Divitel (divitel.com). Divitel, a European video systems integrator and services provider has expanded its strategic partnership with Broadpeak – a company designing and manufacturing video delivery components for content providers and network service providers deploying IPTV, Cable, Satellite, OTT and mobile services. The expanded partnership was announced at IBC 2018 in Amsterdam; the media, entertainment and technology event taking place 13 – 18 September.